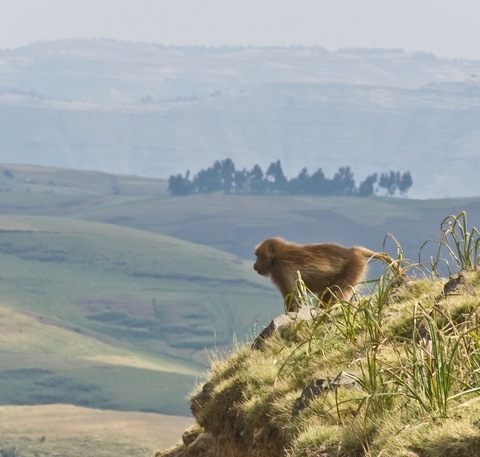 A gelada baboon in Simien Mountains National Park, Ethiopia. Photo by A. Davey via Flickr. 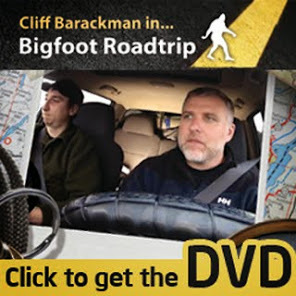 While clearly not humans, bigfoots are extremely human-like in many ways. They're bipedal, they seem to travel in small family groups, and they are extremely intelligent. There are other possible similarities that are as of yet uncertain, but could very well be present, including the capacity for speech. If bigfoots can in fact speak to each other using language, or perhaps some proto-language, then many interesting questions arise. These questions concern evolution, vocabulary, and even morphology that could give rise to speech. For example, does bipedalism somehow contribute to the brain or throat structure in some way that helps enable language? "What it's showing is this possibility for rhythmic expression and vocal output," Ghazanfar said. "This possibility exists and geladas have exploited it. But it doesn't show a direct relationship between what we can do and what geladas can do." Scientists studying the evolution of speech have long puzzled over why there are no good models in primates. While primates share many traits with humans -- they've been known to play, grieve, fight, even laugh -- speech isn't one of them. With one possible exception. A group of wild monkeys from the Ethiopian highlands called geladas, which are closely related to baboons, make gutteral babbling noises that sound eerily human-like. And they do it while smacking their lips together. The combination of lip smacking and vocal sounds is called a "wobble." A study in this week's issue of the journal Current Biology analyzed the rhythm of the wobble and found that it closely matched that of human speech. Have you ever heard the "Indian Whispering " in the woods when no one else is around? Interesting, the Geladas lip smacking or wobbling...the one video was difficult for me to see it but my eyes/ears are perhaps not trained to look for that. I was thinking though, about a certain tribe of people who communicate differently as well...they would use clicking noises with their tongues...I can't remember where I read that, maybe it's in my files. But it's always fascinating how different species and groups of beings communicate with one another...interesting! That's an interesting article. When reading your comment if bipedalism contributes to the brain... I automatically had to think of my two kids and the giant leap in the developement they did once they started to walk. I know it's not on the same scale as actually evolving into bipedalism as a species but still it very much contributes to our brain and our developement when growing up.